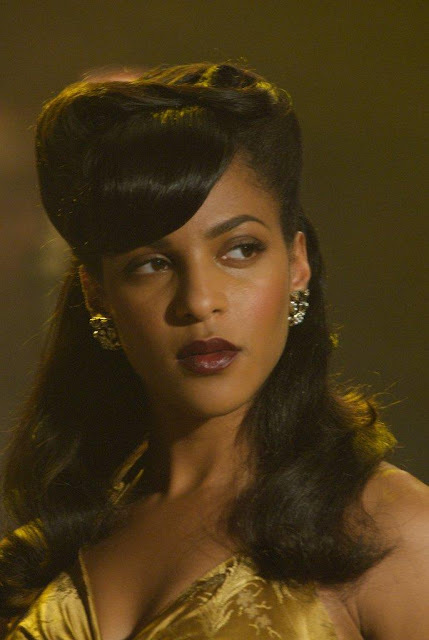 Megalyn Echikunwoke is the kind of actress that always drives me crazy. I feel like I have seen her in a million things and then when I check her IMDB I see that it is not as many as I remembered. 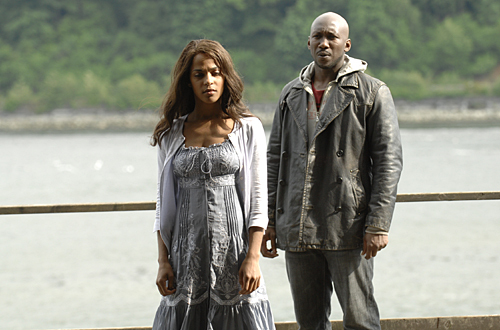 I first got a glimpse of this African/Irish beauty when she starred as the grown up version of Isabelle Tyler on the very underrated 4400. 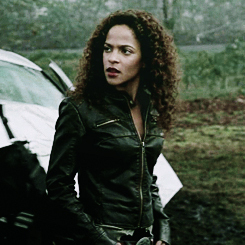 That show was awesome, and Megalyn had a lot to do with that. She also had recurring roles on CSI:Miami, the new 90210, and 24. But lately I have been seeing ALL OF HER (she is naked... a lot!) on one of my new favorite shows, Showtime's 'House of Lies'. She is starring opposite of Don Cheadle, and she is a highlight on a very well executed show. If you are not watching this, you should be. This show is on the cusp of becoming Showtime's next break out hit. 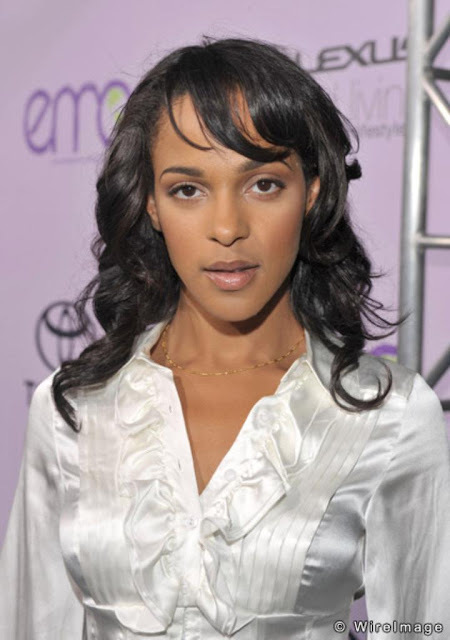 She also has an indy movie called Damsels In Distress that has been garnering all types of positive reviews due to megalyn's perfomance amonst a cast of hot young stars (Analeigh Tipton, Greta Gerwig, Adam Brody, Carrie MacLemore, etc). Get familiar with Megalyn in the photo collection that comes after the jump... and also look for a suprise link down at the bottom of the group! 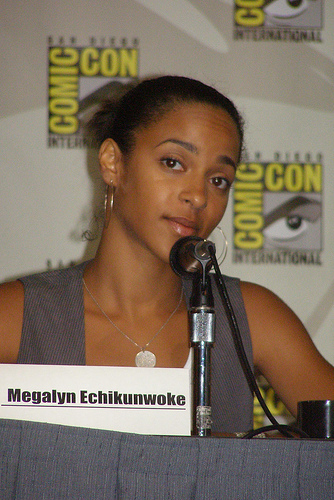 Click here for some great Not Safe For Work Nudie Pics of Megalyn!!! Your Welcome!!!! Amazingly extraordinary beauty and sexiness! Her acting skills is the icing on that gorgeous cake!